This summer, I discovered the real beauty, variety and usefulness of the hosta. There are hundreds of species in every shape, size, color and texture. Choosing a favorite is tough! Best of all hostas grow in shade and sun! A rare find for city scapes. So the hosta earns #2 in my 2011 list of Garden Lessons and Finds. 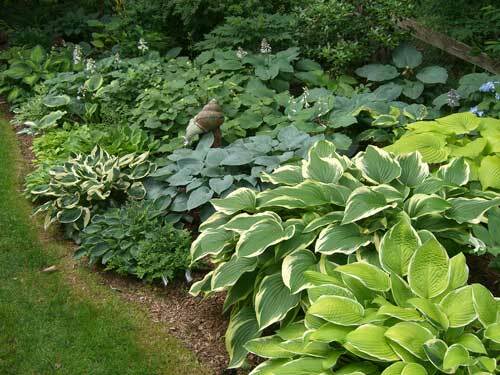 Hostas are easy to grow and shade tolerant. They can do well in 3/4 to full sun. According to the American Hosta Society (yes there is one), a general rule of thumb is “the greener the leaf, the less sun necessary for the plant to grow well.” The corollary to this “rule” also seems to work; “the more yellow and white in a leaf, the more sun necessary for sufficient photosynthesis to allow the plant to thrive.” And, some hosta growers have discovered that additional moisture will help a hosta survive in higher light levels! The plant is native to Japan, Korea, and China and was first imported and grown in Europe in the late 1700’s. 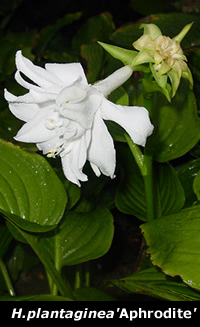 By the mid-1800’s, hosta were growing in the United States. Hostas are available at most garden centers and are worthy additions to any city garden – shady or sunny. Check out the American Hosta Society for more information.